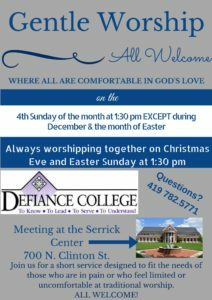 The Gentle Worship congregation would like to invite you to come join us for a shorter, softer service where everyone is welcome. 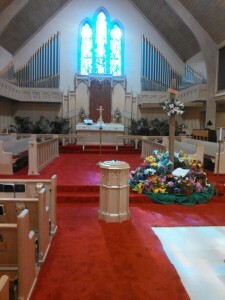 A service for those who have difficulty with a regular length service for whatever the reason. 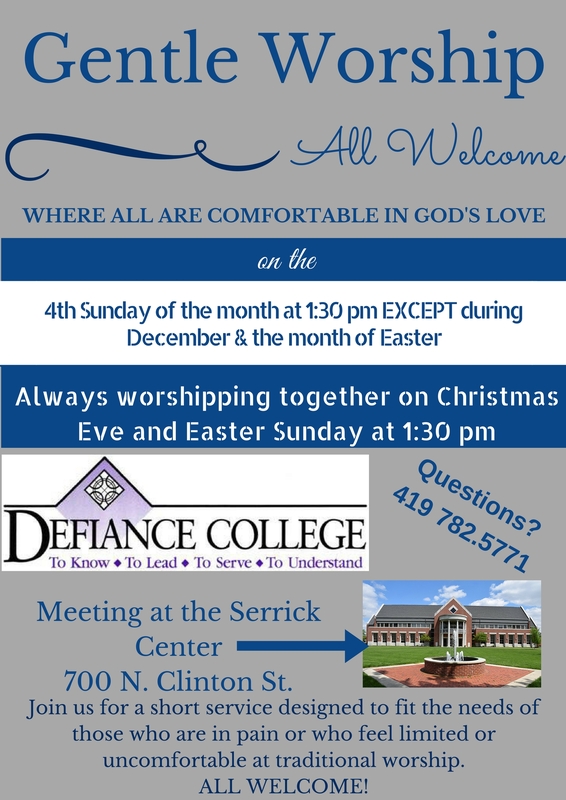 This welcoming community of faith invites you to come.